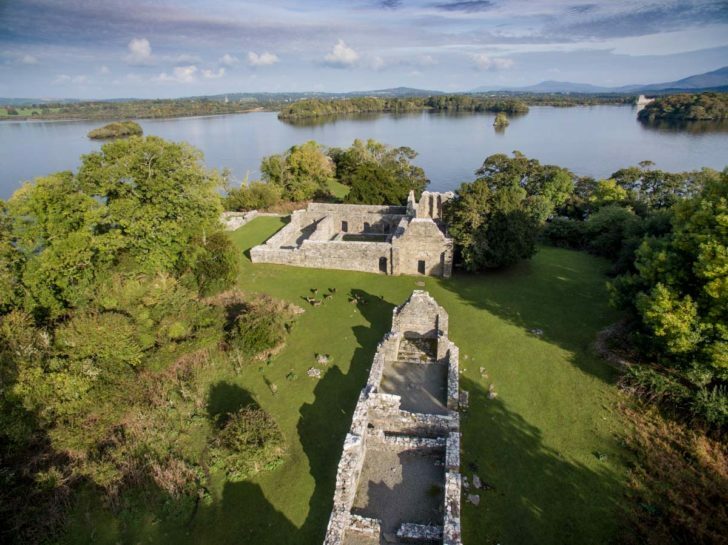 Situated in the very scenic Lakes of Killarney, Innisfallen Abbey was founded in 640 AD by Saint Finian, it became a school of learning. The term “Ireland the land of Saints and Scholars” could easily have been referencing the Abbey on Innisfallen or the likes of Skellig Michael in Kerry. Many other similar Abbeys exist around Ireland but not as many have the settings of Innisfallen and Skellig Michael. Ross Castle can be seen from the Abbey on Innisfallen and the Abbey from Ross Castle. 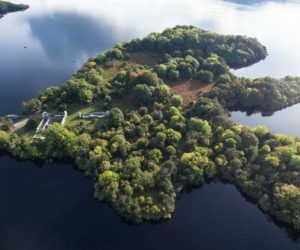 Boat trips are available from Ross Castle to Innisfallen Island and Abbey, there is a nice walk around the Island (20 min) or just explore the Abbey and the different buildings. It is said that High King of Ireland “Brian Boru” was educated here, King Brian went on to rid Ireland of the Vikings in later years.